Legends of Localization Prizes at SGDQ! Watch the stream here and keep an eye out for the LoL prizes. 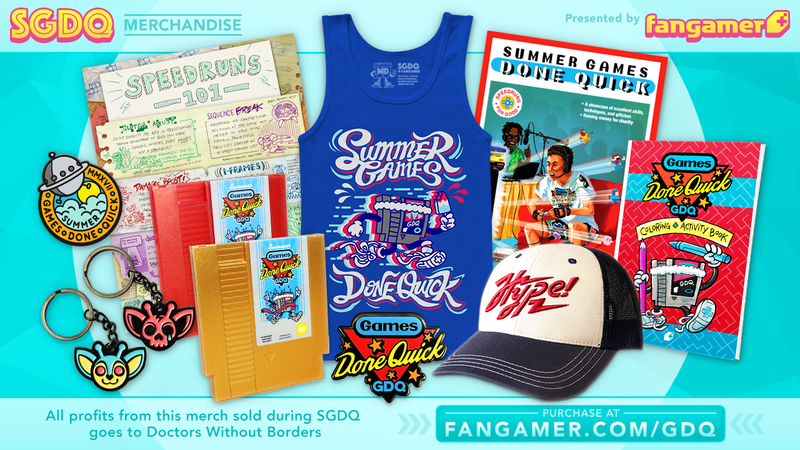 And speaking of SGDQ, Fangamer has a fun new crop of GDQ products available to buy right now! All profits from the sales of GDQ merchandise goes straight to Doctors Without Boarders. So not only will you be getting some cool stuff, you’ll also be helping people in need. So, buy somethin’ will ya? It’s for charity! Previous post: EarthBound Books Sold Out! Next post: Mario, Fire Up the Main Thrusters!